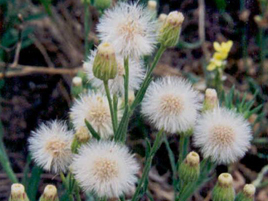 Hairy Fleabane (Conyza bonariensis) is a dicot weed in the Asteraceae family. In New South Wales this weed first evolved resistance to Group D/22 herbicides in 2016 and infests Grapes. Group D/22 herbicides are known as PSI Electron Diverter (Photosystem-I-electron diversion). Research has shown that these particular biotypes are resistant to paraquat and they may be cross-resistant to other Group D/22 herbicides. Field, and Greenhouse trials comparing a known susceptible Hairy Fleabane biotype with this Hairy Fleabane biotype have been used to confirm resistance. For further information on the tests conducted please contact the local weed scientists that provided this information. There is no record of differences in fitness or competitiveness of these resistant biotypes when compared to that of normal susceptible biotypes. If you have any information pertaining to the fitness of Group D/22 resistant Hairy Fleabane from New South Wales please update the database. The Herbicide Resistance Action Committee, The Weed Science Society of America, and weed scientists in New South Wales have been instrumental in providing you this information. Particular thanks is given to Peter Boutsalis, and Christopher Preston for providing detailed information. Galon, L. ; Ferreira, E. A. ; Concenço, G. ; Silva, A. A. ; Silva, D. V. ; Silva, A. F. ; Aspiazú, I. ; Vargas, L.. 2013. Physiological characteristics of Conyza bonariensis biotypes resistant to glyphosate cultivated under competition. Planta Daninha 31 : 859 - 866. The resistance of weeds to herbicides is related to metabolic, enzymatic, physiological and anatomical changes. Coupled with these changes, plants can increase or decrease their physiological activities, which can affect their growth and development. Thus, resistant biotypes may have a higher ecological adaptation in these environments and become predominant due to the elimination of sensitive plants. Under natural selection conditions, biotypes with greater ecological adaptation show higher production than less adapted biotypes. Thus, the aim of this work was to assess the effect of competition on the physiological characteristics of Conyza bonariensis biotypes susceptible and resistant to the herbicide glyphosate. The treatments consisted of plants of two biotypes of C. bonariensis - one proven to be resistant and one susceptible to glyphosate. In the center of the experimental unit, three seeds of the C. bonariensis biotype considered for treatment - resistant (R) or susceptible (S) - were sown, with the plant being surrounded by 0 (no competition), 1, 2, 3, 4, or 5 plants of the opposite biotype. The susceptible biotype presented a higher tolerance to competition with plants of the opposite biotype regarding the physiological characteristics evaluated. The resistant biotype of C. bonariensis has a physiological disadvantage compared to the susceptible one and, therefore, less potential for adaptability in the absence of the selection factor - the herbicide glyphosate..
Trezzi, M. M. ; Balbinot Júnior, A. A. ; Benin, G. ; Debastiani, F. ; Patel, F. ; Miotto Júniorr, E.. 2013. Competitive ability of soybean cultivars with horseweed (Conyza bonariensis). Planta Daninha 31 : 543 - 550. The existence of large areas infested with populations of Conyza spp. resistant to glyphosate in Brazil demands appropriate and integrated management strategies. This experiment aimed to identify soybean cultivars with greater competitive ability with horseweed plants and to determine plant characteristics associated with this ability. The experiment was arranged in a randomized complete block design with split plots. Seven soybean cultivars (CD 225 RR, BRS 232, CD 226 RR, NK 7054 RR, BMX Apollo RR, BRS 245 RR and BRS 255 RR) were allocated in the plots, and two interference situations (absence and 13.3 plants of Conyza m-2, transplanted seven days before soybean planting) in the subplots. The average yield loss due to competition with horseweed was 25%. Cultivar CD 226 RR showed no significant grain yield loss due to competition, compared to the control without infestation, but showed the lowest average grain yield. The BRS 232 genotype showed loss of grain yield of only 14%, and presented positive plant height and leaf mass at 20 DAE, as well as dry matter of stems+branches in all evaluations, features related to its higher performance and greater ability to withstand competition with horseweed plants..